Ever have one of those days where nothing goes right? Well, my entire week has been like that. My Microsoft Exchange Server was dying and it was time to migrate. So why not move to the latest and greatest version: Exchange 2013? Well, one week into the process and lacking any email, calendar and contacts, the reason–apparently–is because Exchange 2013 doesn’t seem to work. And it’s also one of those weeks where the tennis elbow seems to be getting worse, also for no apparent reason. Sorry for venting. Oh, the Tai Chi stuff has been going fine. And the repeated sequences in the second half of week 2 have enabled uncoordinated me to perform the moves with decent form. But with the email frustrations, and being basically ripped off the grid, my Tai Chi accomplishments just weren’t enough. I needed some tangible progress of higher magnitude. 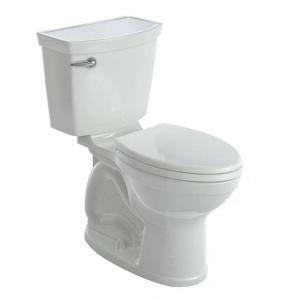 Enter the American Standard Champion Max 4 Toilet. For months now, I’ve been annoyed with the bowl in the bathroom next to my office. Poor flush, water running, etc. So in my Microsoft-induced state of frustration, I ripped that bad boy out and installed the Champion Max 4. The installation went without a hitch. And the flush is–divine. Still, no email. But it’s something. This entry was posted in Round 8, Tai Cheng and tagged American Standard Champion 4 Max, Exchange 2013, Lift & Lower, Microsoft, Pain, Phoenix Tail, Press, Pull Back, Separate & Pull, Tai Cheng, Tennis Elbow, Toilet, Ward Off. Bookmark the permalink.